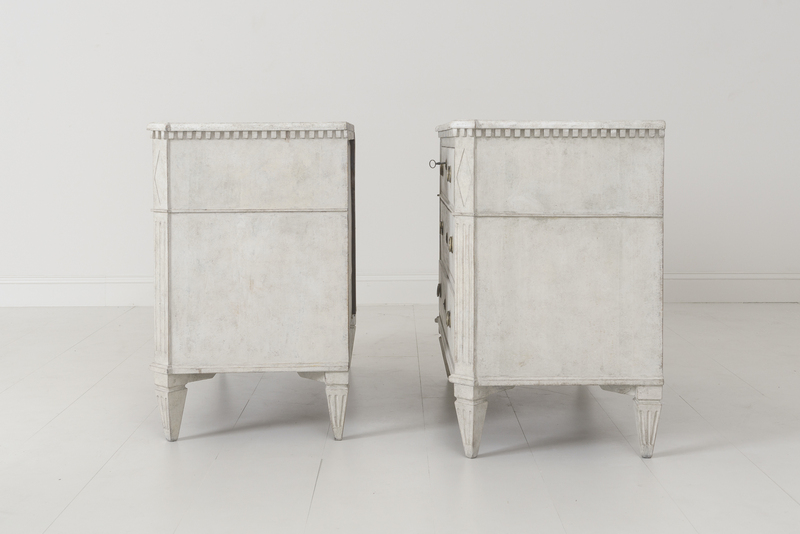 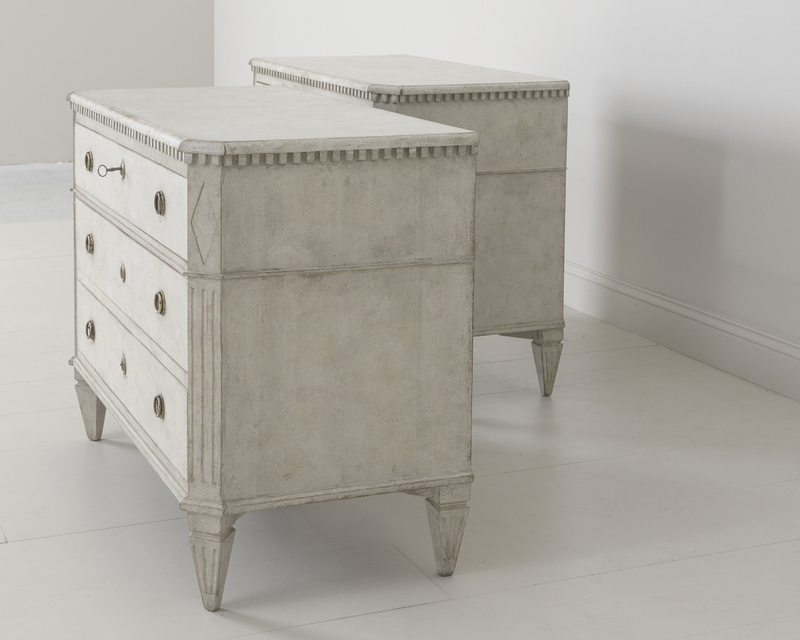 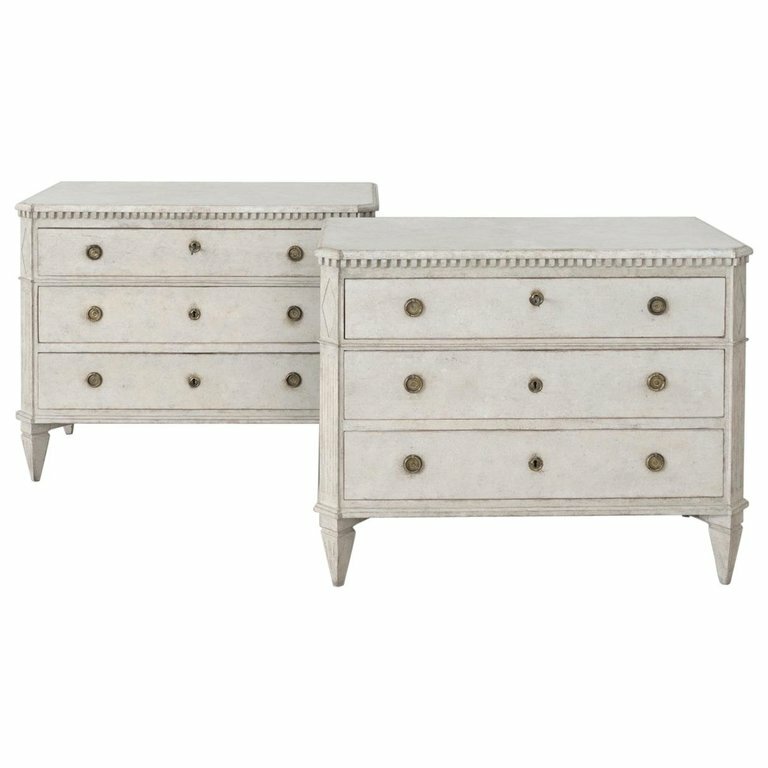 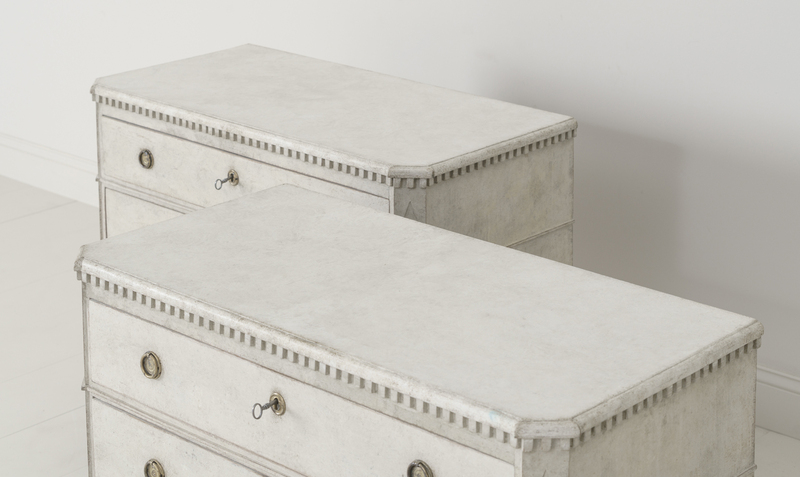 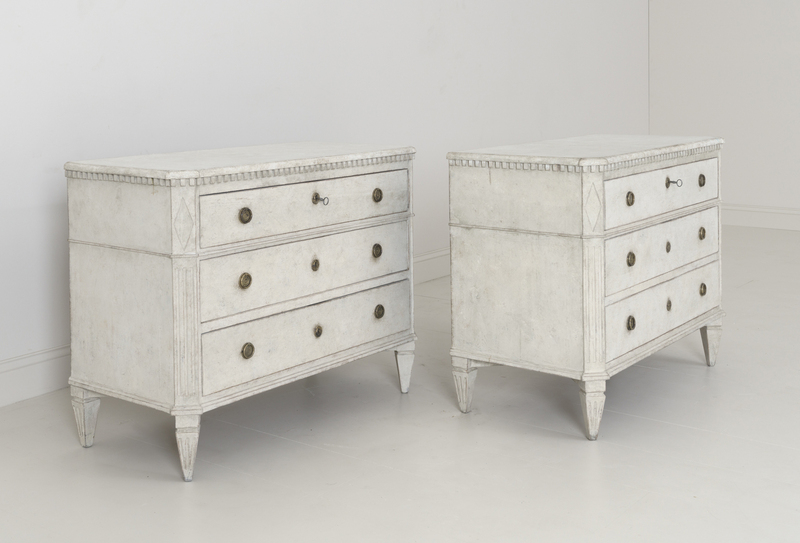 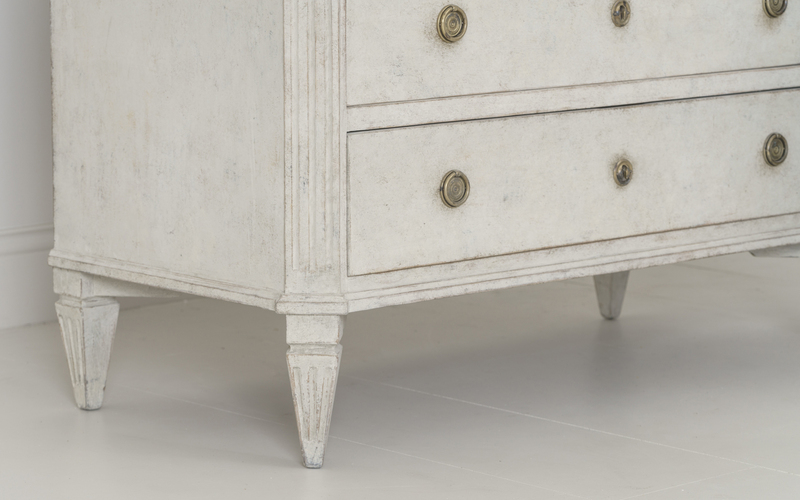 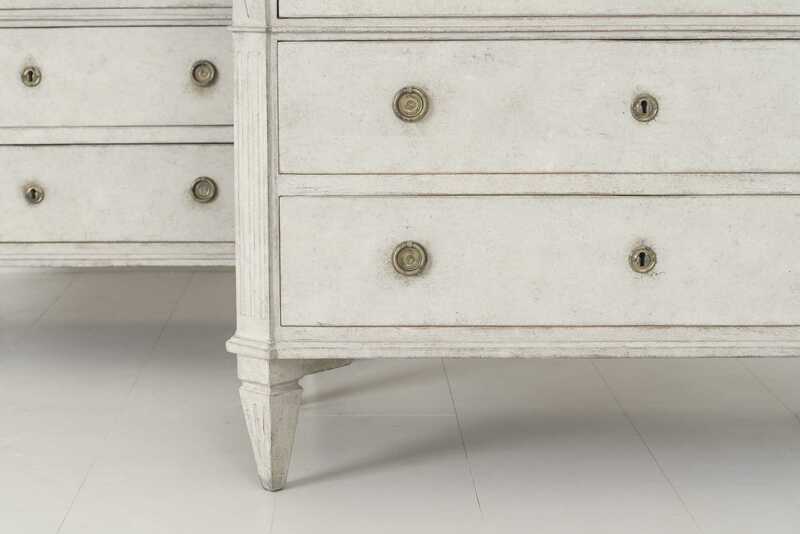 19th Century Pair of Swedish Gustavian Bedside Commodes | Maison & Co.
A pair of Swedish commodes in the Gustavian style with dentil molding around the top and lozenge detail on the corners. 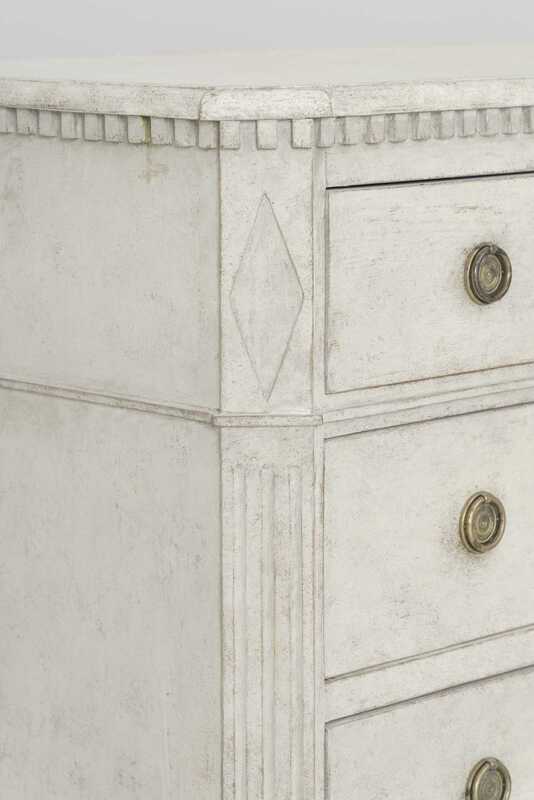 Chalky ivory paint with a gray hue. 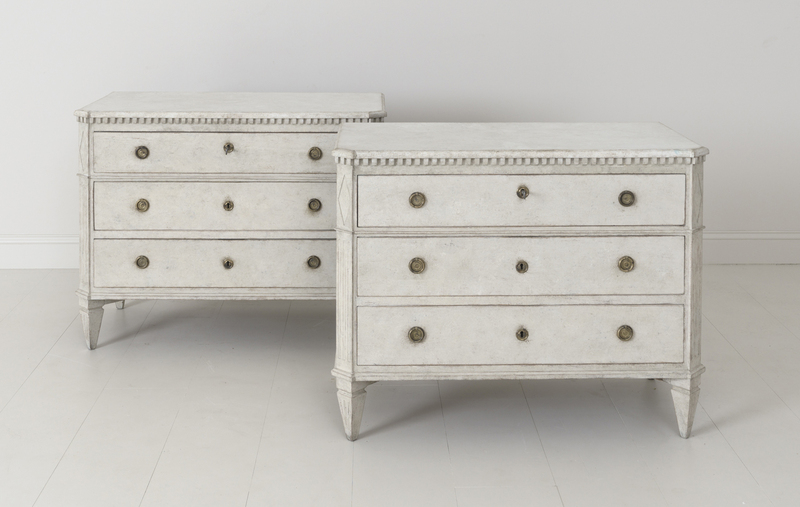 Three large drawers, brass hardware, canted and fluted corner posts, and tapered and fluted legs. 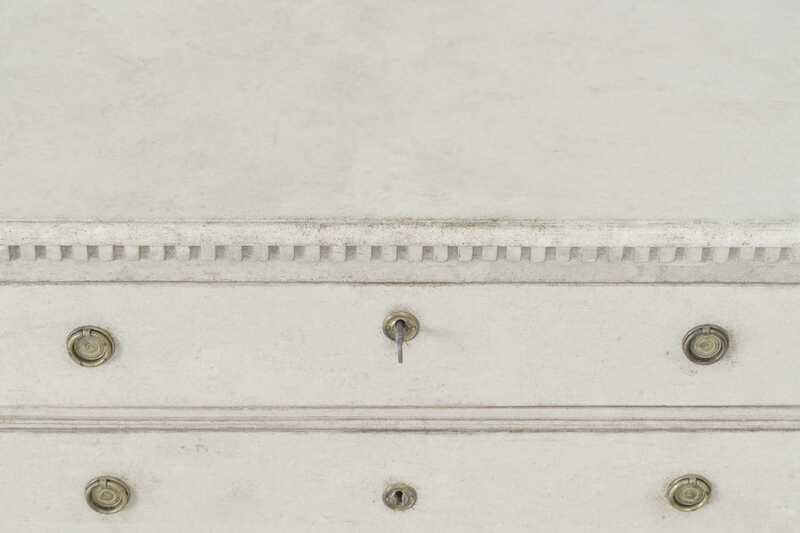 Original locks with keys.